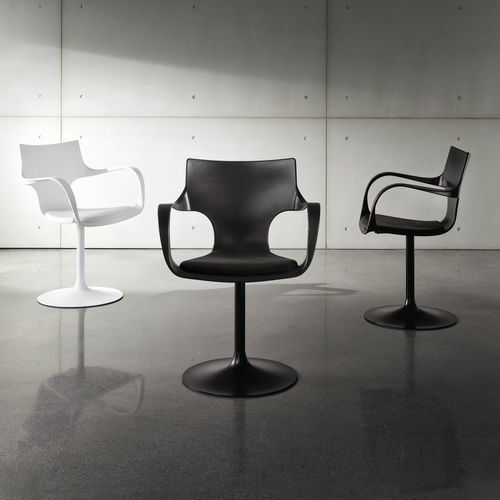 Swivel chair with arms. 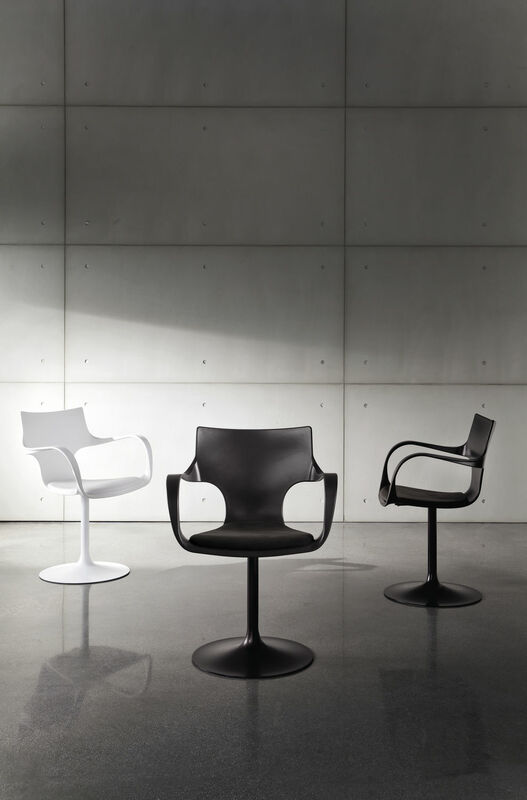 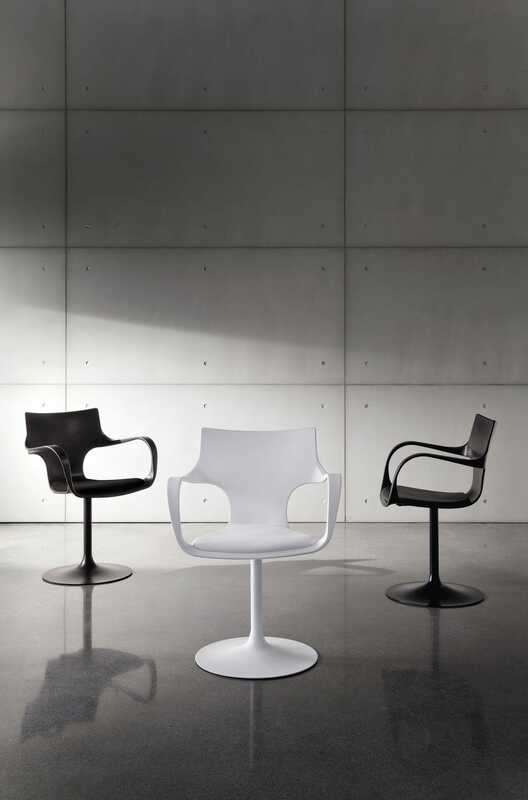 Chromed, white or black lacquered metal base. 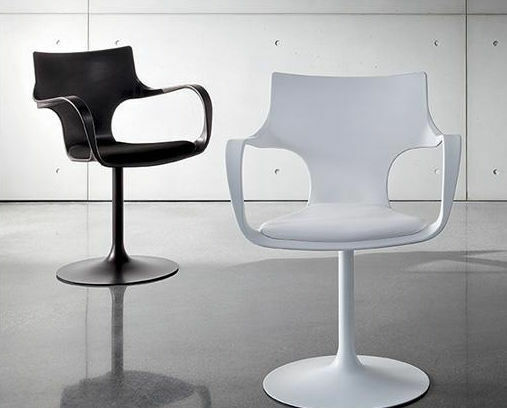 White or black polypropylene structure. 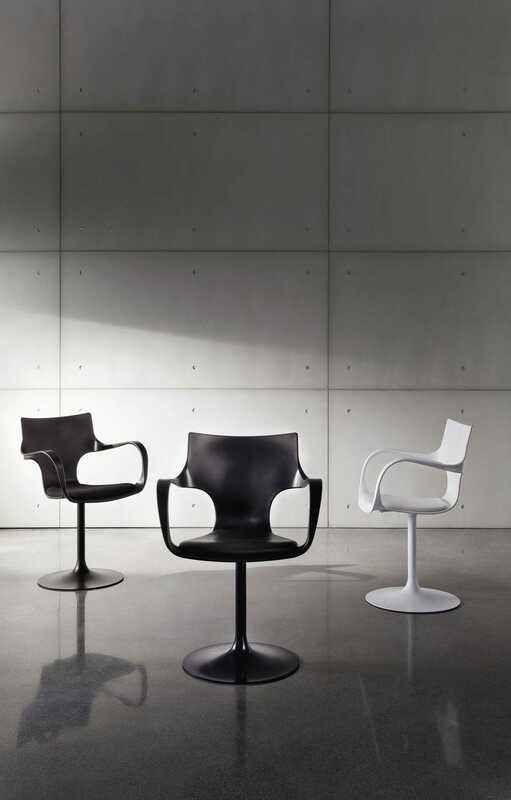 Seat in fake leather, white or black.